You’re cordially invited to join us for an exclusive dress rehearsal performance of Guess Who’s Coming to Dinner on January 23. 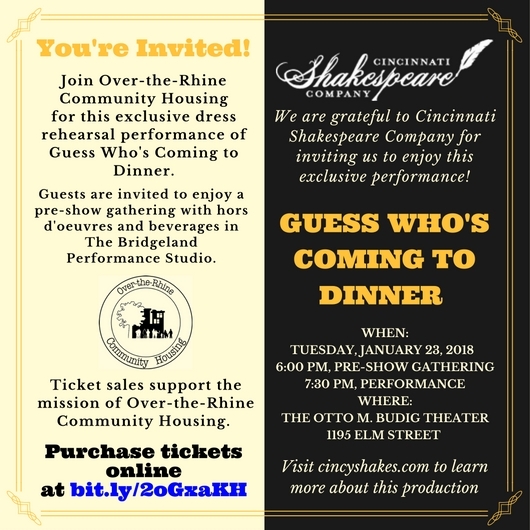 All ticket proceeds will benefit OTRCH, and we’ll have an opportunity to enjoy Cincinnati Shakespeare Company’s beautiful new theater and some light refreshments before the show. CLICK HERE TO GET YOUR TICKETS TODAY!